Covering almost 620,000 acres of western most Montana, near the border with Idaho's panhandle lies the Flathead Reservation. 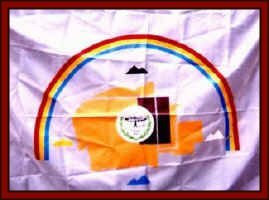 This land is home two two separate tribes that function as a single unit. This is the home of the Confederated Salish and Kootenai Tribes as they are officially named. The Kootenai live both in the United States and Canada. To the north the name is usually pronounced and spelled slightly different than in the United States - Kootenay. The Kootenai were for generations primarily fisherman. Around 1700 the tribe obtained the horse from neighboring Indians and it changed their lives. From a fishing based culture, they transformed themselves into a tribe of the Plains. 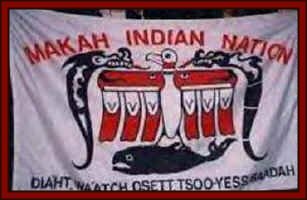 The Salish nation is just one of many Salish speaking tribes that were found by the white man when he came to the northwest. Quite a few others, such as the Quinault and Upper Skagit resided to the west of the Salish. What differentiated this group of Salish-speaking Native Americans was that they did not practice the custom of head flattening. Coastal Salish frequently tied padded boards to their foreheads and over a gradual process tapered their heads by the time they reached adulthood. To whites, it was the Montana Salish who possessed the "flat heads" and the coastal Salish seemed to have tapered or pointed heads. 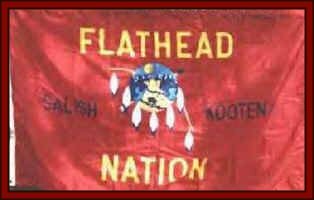 Although the reservation retains the name Flathead Reservation, the people have reverted to the name they have bestowed upon themselves, the Salish. They are joined there by other Salish people, especially members of the Kalispell and Spokane tribes. The "Hochunkara' or Winnebago originally came from the territory in southern Wisconsin from the area surrounding Lake Winnebago. Members of this tribe number about 1150 and they currently li ve on a reservation adjoining the Omaha in northeastern Nebraska. www.home.earthlink.net/~ioway/itok.html The Iowa Tribe of Oklahoma is located near the Cimarron River with approximately 1,542 acres of scattered lands in north-central Oklahoma, remnants of the original reservation established in 1882 before the lands were opened to white settlement during the Oklahoma land rush. Reservation and allotted member lands are spread in checkerboarded patterns across three counties: Payne, Lincoln, and Logan. Tribal headquarters are located four miles south of Perkins on U.S. 177. 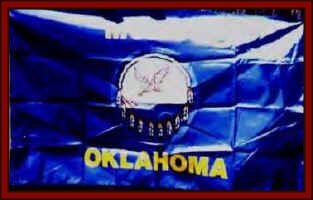 According to 1995 figures, the Tribe maintained 207.52 acres in federal trust, with an additional 1,334 acres in tribal member allotments. The tribe is acquiring lands through use of gaming funds.Tribal enrollment in 1995 was 461.
www.carnegiemuseums.org The Iroquois Confederacy was a sophisticated political and social system. It united the territories of the five nations in a symbolic longhouse that stretched across the present-day state of New York. 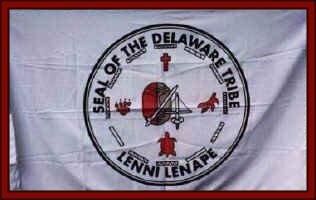 The original five nations of the Confederacy were divided into two groups: the Elders, consisting of the Mohawk, the Onondaga, and the Seneca; and the Younger, the Oneida and the Cayuga. Despite this distinction, all decisions of the Confederacy had to be unanimous. 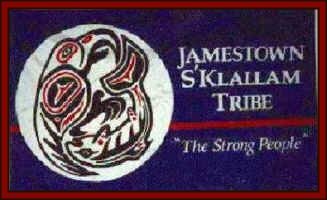 Welcome to the Jamestown S'Klallam Tribe. 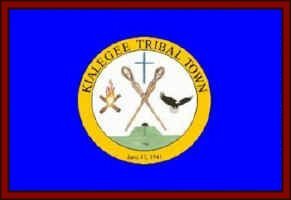 www.kialegee.org/id2.htm Today there are 44 Tribal Towns in the Muscogee Creek Nation, but, only 3 are Federally recognized. Kialegee is one of them. The meaning and pronunciation of Kialegee is broken down into two parts: aka (head) and ligah (I kill). The Kialegee were known to be a friendly people but when attacked were ferocious fighters. The Leech Lake Reservation, located in the forests of north-central Minnesota, offers an oasis of natural beauty. Towering pines fringe the reservation's many lakes, two of which are among the largest in the state. Major sources of revenue come from two tribally owned casinos: The Palace Bingo & Casino located near Cass Lake, and Northern Lights Casino located near Walker. 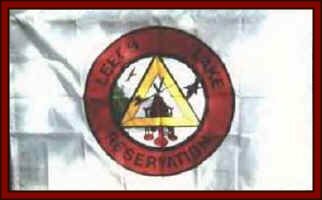 The Bureau of Indian Affairs, The Minnesota Chippewa Tribe, and The Leech Lake Reservation Tribal offices are all located in Cass Lake. www.elwha.org/language.htm One day there was a big gathering at the bjfjlxrj. They ate salmon, clams, wild berries, and lots of good things that came from nature. Then they had a contest to see who was the strongest. They decided to see who could lift a big log to the top of a big house that they were building. "Who can lift this big log?" they asked. All of the Tribes tried to lift the log. Each Tribe chose their strongest men. None of them could lift the big log. Then it came time for the Klallams. They remembered that logs float in water. So they rolled the big log into the water. Then the strongest young men walked out into the water until it was up to their shoulders. Then they let the log float onto their shoulders and walked out of the water carrying the log on their shoulders. When they reached the Longhouse everyone shouted at the same time, vajvumd, vajvumd, vajvumd. On the third time they all lifted it up to the top. All of the other Tribes thought that the mighty Kallams must be very strong to put the log up so high and so smart to use the water to first get the log onto their shoulders. 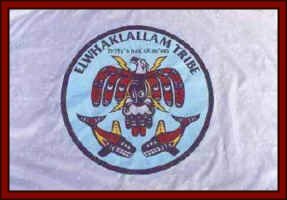 They all shouted, "Klallam, Klallam!" which means, "Strong People!" That was how the Tribe received its name. www.northolympic.com/makah We call ourselves "Kwih-dich-chuh-ahtx" or "people who live by the rocks and seagulls". The name "Makah", which was given to us by our neighboring tribes, means "Generous with food". We have lived at the most northwestern point in what is now the contiguous United States since the beginning of time. For thousands of years we have hunted whales and seals, and fished in the great waters which cradle our home. 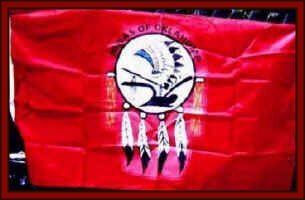 www.nativeartandwildlife.homestead.com/miccosukee.html The Mickosoukee are a south Florida tribe closely related to their neighbours , the Seminole. They officially number under 500 individuals. The Mickosoukee reservation today lies just west of Miami and borders the upper reaches of the Everglades. This huge swamp that served them for many years was a source of food, clothing, shelter and as a hideout from federal forces during the long duration of the Seminole Wars in which the Mickosoukee were major players. Today, the major fighting done by the Mickosoukee is with alligators. 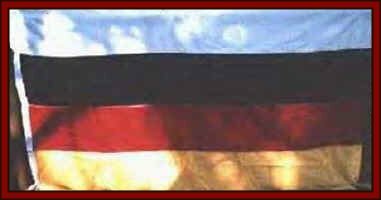 the First Fire entailed that the Anishinaabe must move from where they resided or they will be destroyed. A turtle-shaped island was said to be the first of their seven stopping places. The map displays possible sites of the Turtle-Shaped Island according to The Mishomis Book. Their second major stopping place was referred to by Ojibwa as Great Falls or Benton refers to this as Niagara Falls. It was said that the sacred Megis shell rose up out of the water and greeted them. 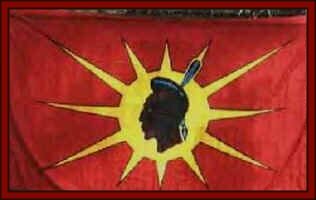 www.peacetree.com/akwesasne/history.htm The Mohawk Nation is one of five founding nations of the Iroquois Confederacy formed by neighbouring and closely related North American Native Nations: the Mohawk, Oneida, Onondaga, Cayuga and the Seneca. 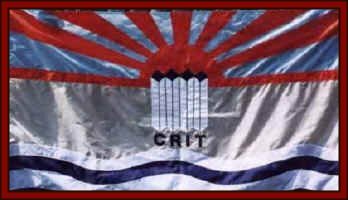 According to the oral history of the Iroquois, the founding date was some time between AD 1000 and 1450, and maybe as late as 1600 according to some writers, but certainly before the arrival of the Europeans. 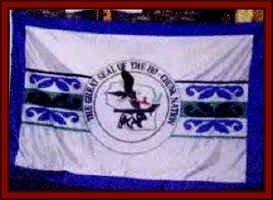 Later on, in the early eighteenth century, a sixth nation, the Tuscarora, was admitted to their fold, although they are still known as "The Five Nations." 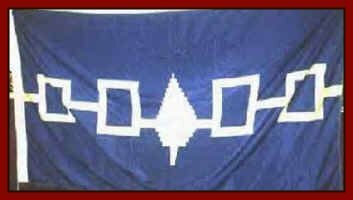 They were also know as the "People of the Longhouse" or HAUDENOSAUNEE (ROTINONTSIONNI) from the rectangular shape of their communal houses and the layout of their territories. Thus the lands of the Confederacy are likened to a communal house, and the role of each Nation is likened to that of the family occupying the same position in a communal house. The Mohawks guarded the territory in the East and became know as the "Eastern Doorkeepers," the Seneca were the "Western Doorkeepers." The Onondagas in the middle were the "Firekeepers" while the Cayuga and Oneida are the "Younger Brothers" and the Tuscarora the "Adopted Brothers." The name "Mohawk" was given to them by the Algonquin Nation and was later adopted by the British, Dutch, French and Americans due to the fact that it was easier to spell and to pronounce. Their true name is KANIEN'KEHAKE or "People of the Flint." By being called the Mohawks through history, they more or less accepted that name in the same manner as they accepted being called "Indians." 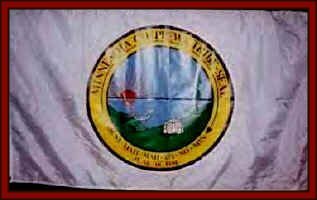 Some people in Akwesasne are of Abenaki, Onondaga, Oneida, Cayuga and Huron blood but the majority are of Mohawk or Kanien'kehake descent. After the bow and arrows of lightning were returned to the Sun, Hasjelti and Hasjohon came to First Man and First Woman and asked them what they thought about all that had happened. "What will take place now will be your plan," they said. "Yes," answered First Man and First Woman, "Now it must be our plan. We will think about it." was a woman. When it was finished they laid the two side by side. Then they took the white corn which was brought up from the Dark World where the First Man was formed and they laid it beside the turquoise man fetish. And the yellow corn from the Dark World, which was formed with First Woman, was laid by the side of the White Bead Woman fetish. Here the chanting begins. It covers the two fetishes and the two ears of corn and the four clouds and the four vapors. There are many chants sung here. They were sung before the fetishes could move. Then the two fetishes, the Turquoise Man and the White Bead Woman, and also, the two ears of corn, white and yellow, moved. When they began to move the Coyote came. He jumped on the bodies and put something first up one nostril and then up the other nostril. He said to the first nostril: "You shall be saved by this." To the second nostril he said: "This shall be your shield." The first turned out to be the trickery of men; the second, the lies that they tell. But once in a while they are saved by their own lies. That was what the Coyote had in mind. The fetishes and the ears of corn moved but they were not able to rise. So word was sent to all the Holy Beings and to the Upper World where the Five Chiefs of the Wind dwelt. Gifts were offered to the Winds and they accepted them, They sent the Little Breeze down, and it entered the bodies of the two fetishes and the two ears of corn. Little, fine hairs appeared over the bodies, for it is through these that air comes out of the body. It was after that, that the four, the two fetishes and the two ears of corn, became human beings.